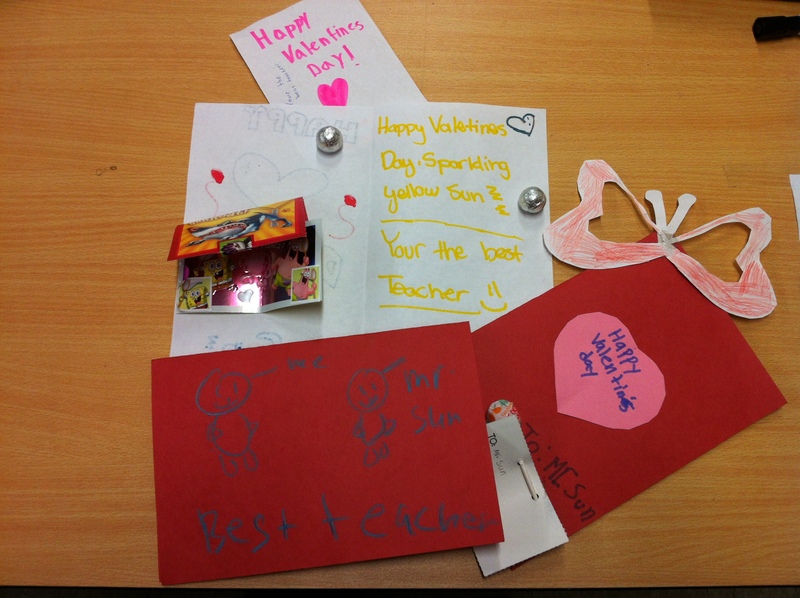 It was a fun week celebrating Valentine’s Day with my grade 4 students. It’s all sweet and love for them. They have not yet experienced any of the bitter heartaches that may accompany Valentine’s; they don’t feel the monetary pain of the consumerism-laden Valentine’s; they probably haven’t felt the frustrating, exhilarating, hormone-induced mixed feelings that accompany love. It’s simply a fun day where they get sweets and write love notes for their family members and their teachers. It’s new experience for me. Never having celebrated Valentine’s while growing up, I did not get to experience the simple version of Valentine’s, a celebration of love, any kind of love. How nice.